The Interdenominational Theological Center (ITC) is a Christian, ecumenical, graduate professional school of theology located on the Atlanta University campus in Atlanta, Georgia. The ITC began in 1958 when four schools of theology united to form the Center: Morehouse School of Religion, Gammon Theological Seminary, Turner Theological Seminary, and Phillips School of Theology. Morehouse School of Religion, organized in 1867, is the oldest of the theology institutions. Originally founded by the Springfield Baptist Church of Augusta, Georgia, relocated to Atlanta in 1879 assuming the name Atlanta Baptist Seminary. The school’s primary mission was to train ministers and other church leaders. In 1899 the school’s name changed to Atlanta Baptist College; five year later, the college began offering Bachelor of Divinity and Bachelor of Theology degrees. In 1913 school officials changed the name to Morehouse College in honor of Dr. Henry L. Morehouse, Corresponding Secretary of the American Baptist Home Mission Society. In 1924 the Divinity School of Morehouse became known as the School of Religion. Under the leadership of Dr. Benjamin E. Mays, president of Morehouse College, the School of Theology joined the consortium known as ITC. 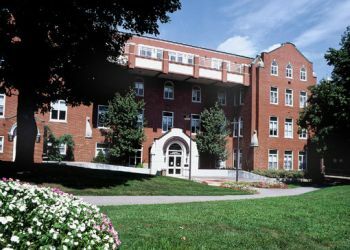 Gammon Theological Seminary, established in 1883 as a subsidiary of Clark University, received its name from Elijah H. Gammon, an influential Methodist minister from Illinois. In 1887 the Gammon and Clark institutions dissolved. Reverend Gammon, before his death in 1891, had willed $500,000 to the seminary. He envisioned a central theological school of the Methodist Episcopal Church across the South, a seminary open to students of all races and all denominations. Turner Theological Seminary, named in honor of Bishop Henry M. Turner, began as the Department of Religion of Morris Brown College. The seminary remained on the campus of Morris Brown College until 1957 but the following year, Morris Brown College authorized Turner Theological Seminary to become a founding constituent of ITC. Phillips School of Theology, founded in 1944, is the only seminary of the Christian Methodist Episcopal Church. Dr. Joseph A. Johnson, Jr. became the school’s first president and served until 1954. Four years later, Phillips School of Theology became a founding member of ITC. Three other seminaries joined the consortium later. Johnson C. Smith Theological Seminary, one of only 10 theological institutions of the Presbyterian Church (USA) began as the Religion Department at Johnson C. Smith University in Charlotte, North Carolina in 1923. In 1969 the Department moved to Atlanta as Johnson C. Smith Theological Seminary and became the fifth Protestant seminary at ITC. In 1970 under the leadership of Bishop James Oglethorpe Patterson, Sr., the General Assembly of the Church of God in Christ authorized the Charles H. Mason Theological Seminary to become a constituent of ITC. In 1997 ITC absorbed its most recent seminary when the Lutheran Theological Center in Atlanta (LTCA) moved to the ITC campus to enhance the commitment of the Evangelical Lutheran Church in America (ELCA) to encourage African American religious leadership development. ITC since its inception has welcomed “At Large” students of other Christian denominations and in 2010 over 15 were represented in the approximately 200 person student body including the Disciples of Christ, United Church of Christ, the Catholic, Episcopal, and African Methodist Episcopal Zion faiths. W. Augustus Low and Virgil A. Clift, eds., Encyclopedia of Black America (New York: Da Capo Press, 1981); James D. Anderson, The Education of Blacks in the South, 1860-1935 (Chapel Hill: University of North Carolina Press, 1988); ITC Website, ITC.edu. Carolina Press, 1988); ITC Website, ITC.edu.